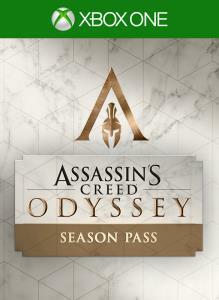 Assassin's Creed® III Remastered is included for free in Assassin's Creed® Odyssey Season Pass. 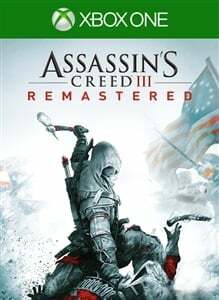 Relive the American Revolution or experience it for the first time in Assassin's Creed® III Remastered, with enhanced graphics and improved gameplay mechanics. Also includes Assassin's Creed Liberation remastered and all solo DLC content. FIGHT FOR FREEDOM 1775. The American Colonies are about to revolt. As Connor, a Native American Assassin, secure liberty for your people and your nation. From bustling city streets to the chaotic battlefields, assassinate your foes in a variety of deadly ways with a vast array of weaponry. A NEW VISUAL AND GAMEPLAY EXPERIENCE Play the iconic Assassin's Creed III, with enhanced graphics, now featuring: 4K resolution, new character models, polished environment rendering and more. The gameplay mechanics have been revamped as well, improving your experience and your immersion. ADDITIONAL CONTENT Also includes all the original solo DLC, including The Tyranny of King Washington, and the full game: Assassin's Creed Liberation Remastered. Write your epic odyssey to become a legendary Spartan hero. Forge your path in a world on the brink of tearing itself apart. Influence history in an ever-changing world shaped by your choices. With the Gold Edition, you get the game three days early, plus the Season Pass and bonus content. Become a legendary Spartan hero. Get the game three days early, two new stories across six episodes in the season pass, and Assassin's Creed® III remastered for 4K and HDR upon its release. 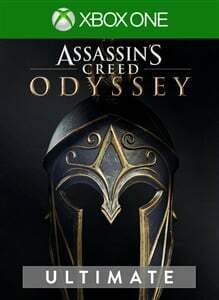 Master your fate in Assassin's Creed® Odyssey. 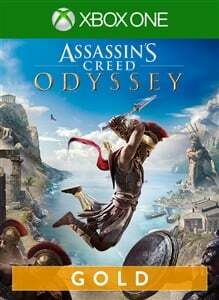 From outcast to living legend, embark on an odyssey to uncover the secrets of your past and change the fate of Ancient Greece. Enhance your Assassin's Creed® Odyssey experience with the GOLD EDITION including the game and the SEASON PASS.